Dance Classes, Lessons, Events & Courses for Delta Academy of Dance and Performing Arts. 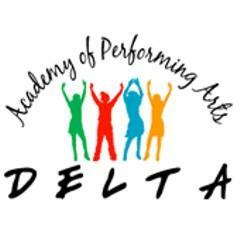 Delta Academy of Dance and Performing Arts was established in Wrexham in 1988 By Dianne Hughes. She is still principal of this successful dance school, which now incorporates a stage branch, teaching not only dance, but drama and singing. There are many venues across Wrexham where both children and adults can learn to dance and sing. This school is also renowned for the quality of dance it produces, being crowned champions at many dance festivals and competitions. Dance Studio/School. Dance Styles: Ballet, Tap Dance, Stage Dance, Dancercise, Modern Dance, Cheerleading, Singing. All Entries for Delta Academy of Dance and Performing Arts Venue. Ballet, Tap, Stage, Dancercise, Modern, Cheerleading, Singing Instruction, Practice. Contact organiser for times and further details. All Entries for Springfield Venue. Car Parking.